Head of the “Let Republicans Eat in Peace” caucus. After a restaurant in Virginia refused to serve Sarah Huckabee Sanders over the weekend, a heated debate has broken out about the ethics of harassing Trump administration officials in public. On one side: liberals who believe that by carrying out the administration’s egregious policies, such officials have forfeited their expectation for a peaceful night out. On the other: those who believe that no matter what, interrupting a political adversary’s dinner is a bridge too far. On Saturday, Democratic congresswoman and Resistance hero Maxine Waters came down firmly in the first camp. In front of a cheering California crowd, she urged supporters to disrupt the lives of senior Trump staffers. 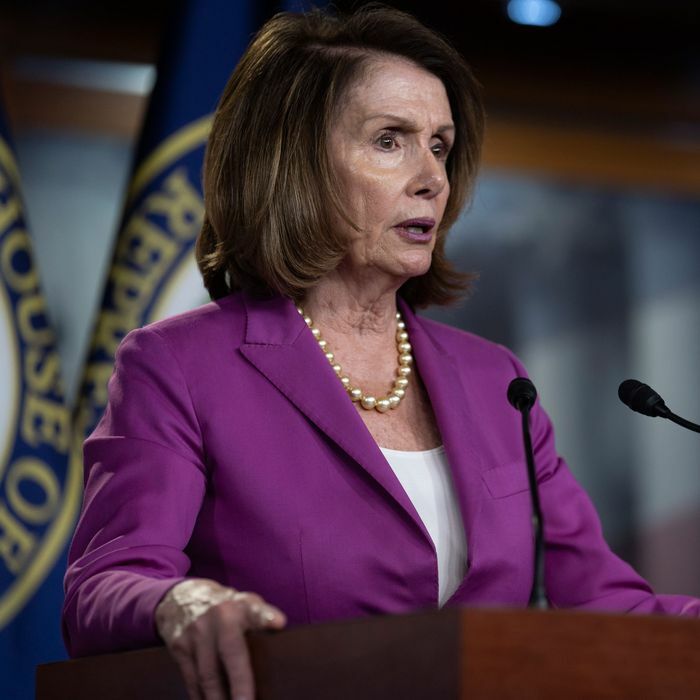 On Monday, House Minority Leader Nancy Pelosi called for restraint, directly contradicting Waters. Pelosi aligning herself with the “maintain civility” faction — which includes conservatives gleefully amplifying a minor incident into proof that Democrats are beyond redemption, as well as Establishment Washingtonians advancing some truly loony arguments to explain why the restaurant’s decision was such a grave breach of decorum — is likely to irritate much of the Democratic base. On Monday morning, social media was rife with liberals complaining that their representatives would endorse the notion that Trump officials should glide through life unmolested. Later on Monday, Senator Minority Leader Chuck Schumer backed up Pelosi. Schumer said, “I strongly disagree with those who advocate harassing folks if they don’t agree with you." The leader of the Republican party had a slightly different take, reminding everyone that when it comes to bad behavior, he’s still the king. In America in 2018, the civility comes straight from the top.